London has a large and complicated transport system. In Greater London there are 13,600km of roads, 3,730km of bus routes, 329km of Tube lines, 28km of new tramways and 788km of national rail lines. Every day 27.3 million journeys are made on this transport network. Of these, 8.5 million are made on public transport, 11 million by car or motorcycle, 7 million on foot, and 0.3 million by bicycle. Our Transport and Travel section tells you all you need to know about travelling around London, as well as how to get to and from the capital. We provide links to the latest travel news, maps and guides and a wealth of other useful information for all types of travel. 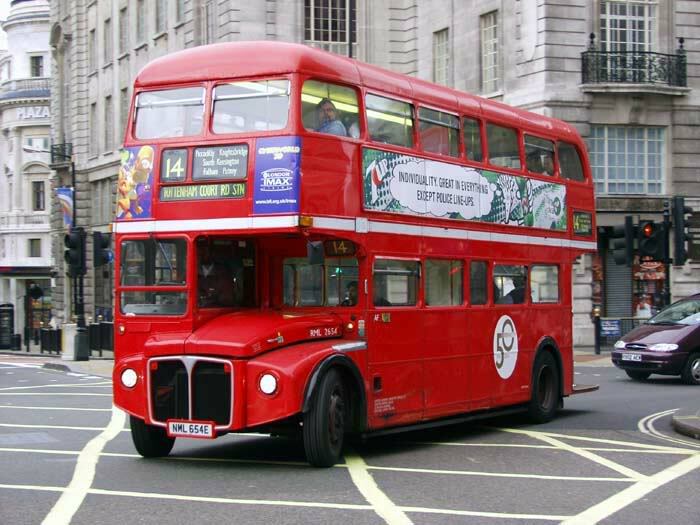 Click on links below for information and practical advice on travelling in and around London. Built on the London to Brighton railway line most transfer traffic is dominated by rail. Being the United Kingdom, there is a choice of 4 operators and routes as well as a coach option. Direct rail and coach services are available to much of the United Kingdom too. Into London there is a wide choice from the cheap and crowded Underground through hotels shuttles and airport coaches to the expensive, fast Heathrow Express. Direct rail and coach services are available to much of the United Kingdom too. A single fast but expensive rail link, the Stansted Express is complemented by 4 competing airport bus routes meeting the needs of the budget traveller. A steadily expanding range of rail and coach routes allows longer transfers missing out London..